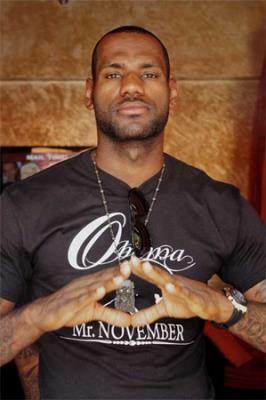 Lebron James in one of the most well known sports figures in the world. 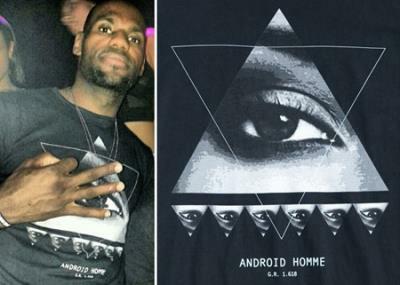 He also is not very shy about showing whom he works for.In addition to be being close friends with other puppets like Drake & Jay Z it appears King James has been a long standing member. 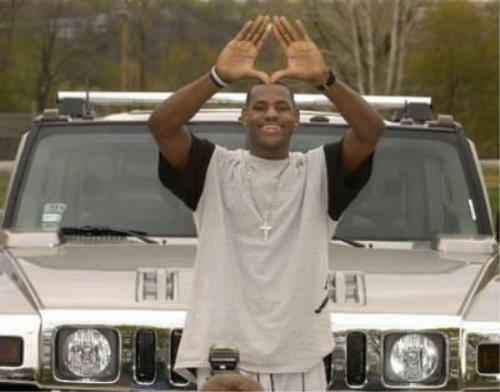 Above see his pre-NBA days displaying the logo of his new benefactors. Below check out Lebrons pre-game ritual. 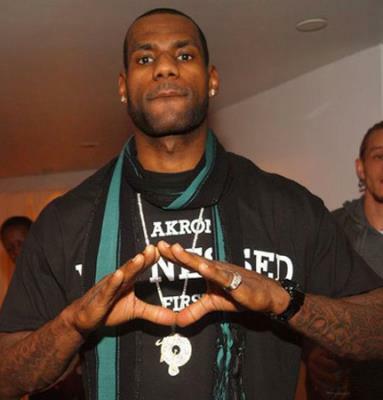 Lebron really likes throwing up the pyramid doesn't he?